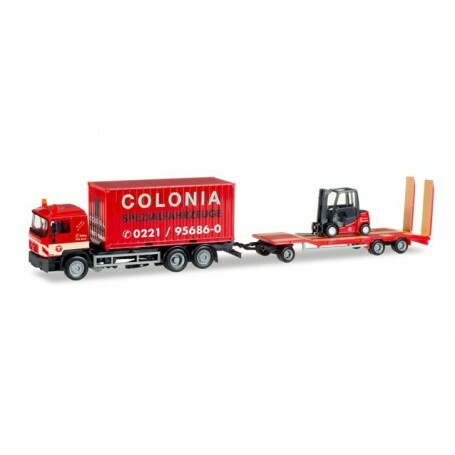  MAN F 90 container truck with Goldhofer TU3 and forklifter "Colonia"
By buying this product you can collect up to 962 bonuspoints. MAN F 90 container truck with Goldhofer TU3 and forklifter 'Colonia'. A classic from the Colonia fl eet which is still in operation today is released as Herpa model. The MAN F 90 truck is loaded with a 20 ft. container and pulls a flatbed trailer with a forklift. 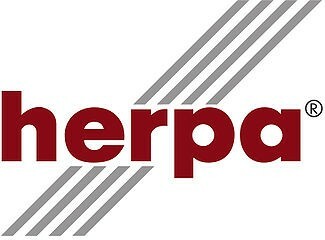 The model is released as one-time edition model.